BostonSolv helps people avoid costly disputes. And when conflicts do occur, we apply creative approaches to achieve prompt resolution. BostonSolv enables parties to avoid the high cost of adverse judgments and to minimize the time and resources expended in pursuit of legal remedies. Experience: Our roster of architects, engineers, contractors, and lawyers has a broad range of subject matter experience. 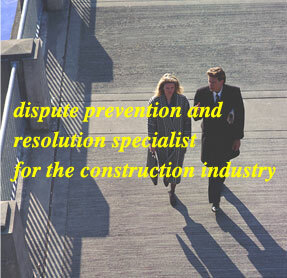 Scope: We offer a full range of ADR services tailored to specific needs or events. Focus: We help people avoid and resolve disputes. Efficiency: No waiting period, no administrative fees.